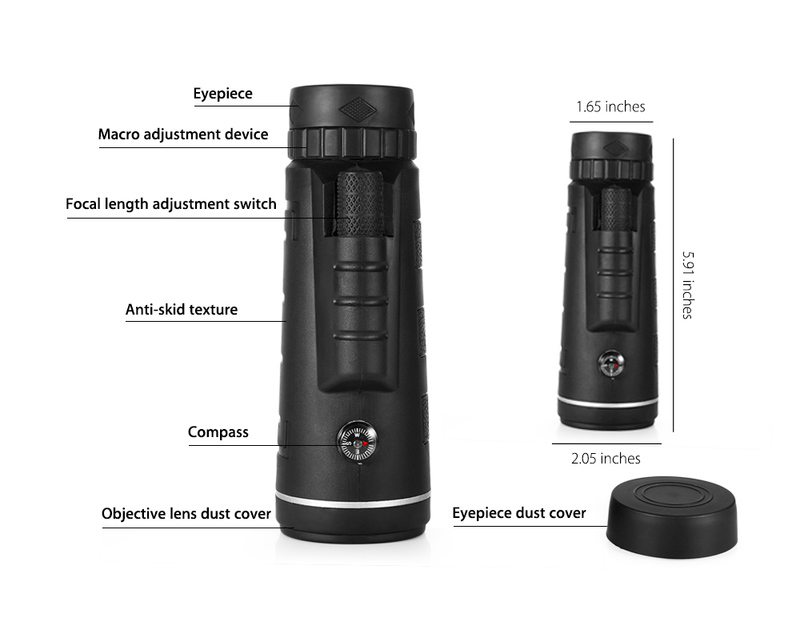 A High Power Monocular Telescope designed for giving you a clearer and more colorful scenery. 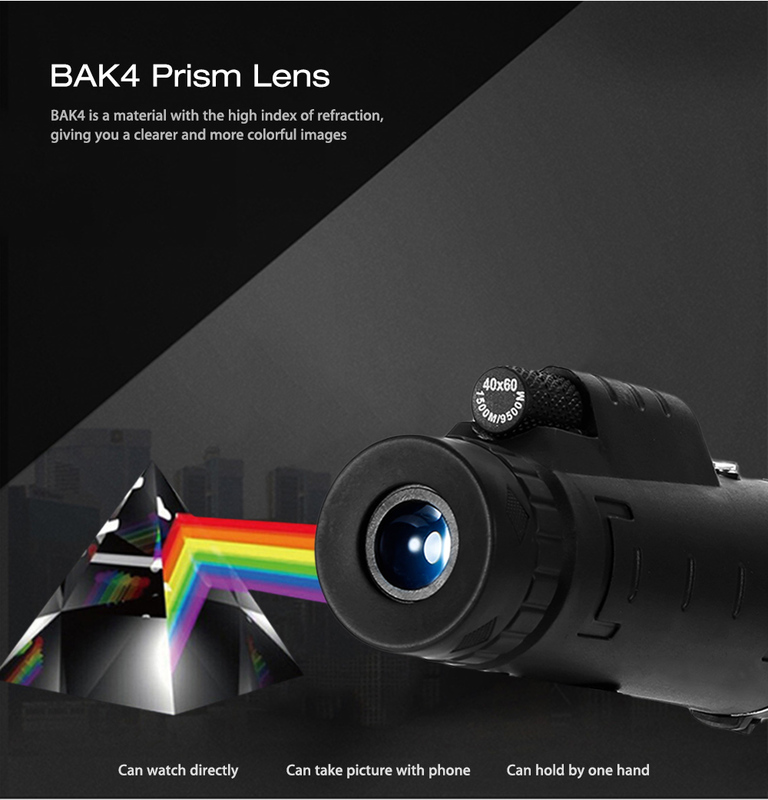 40X60 HIGH POWER MAGNIFICATION: Get Clearer and Brighter range of view with 40x magnification with BAK4 prism lens design, giving you a clearer and more colorful scenery. 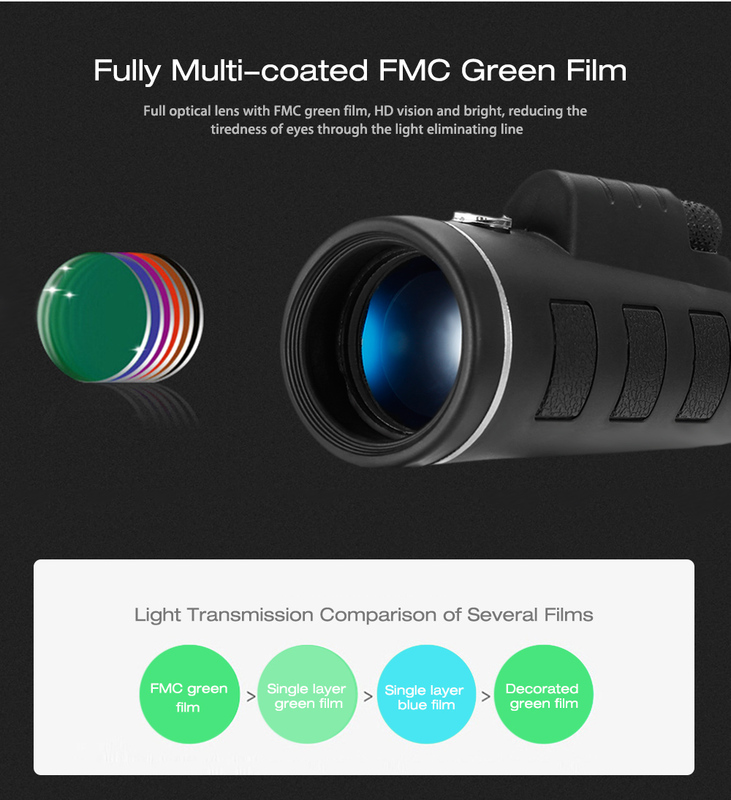 Clear Image & WATERPROOF, SHOCKPROOF, DUST-PROOF: Large BAK-4 Prism and Fully Multi-Coated Lens elements for Light reflection and minimal distortion, better image brightness, contrast, and quality. Sealed optics preventing moisture, dust, and debris from ever entering the internal housing, ensure the user experience more excellent. Perfect Accessories: Equipped with a tripod and phone clip: set your hands free to see the more beautiful view through your phone, and phone clip that helps you to get an HD image or video easily. 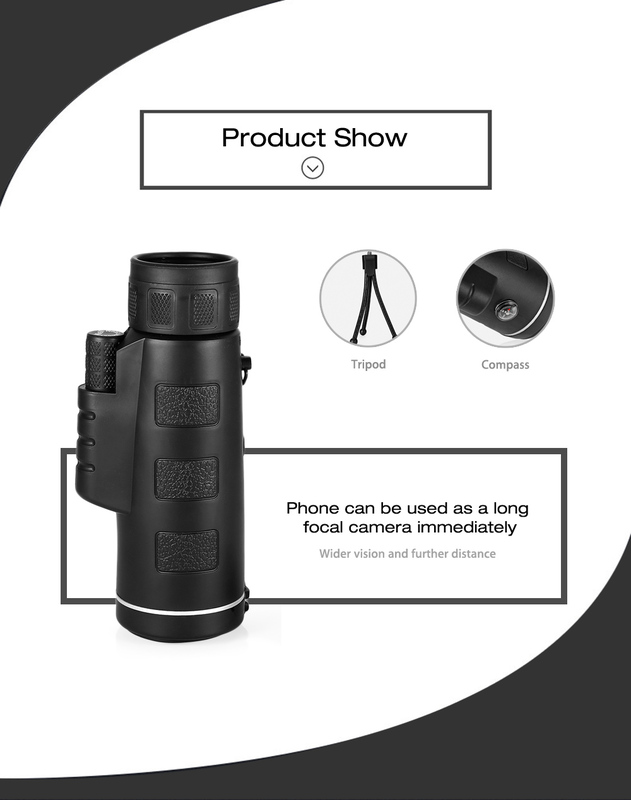 Enjoy your monocular more perfectly. See your world more clear and far: Ensures a clear and bright image through the generously large massive light gathering lens. Instead of grabbing binoculars for bird watching or grabbing binoculars for hunting, you are worth owning. Now give a sharp, crisp and delightful experience to you're viewing the world. 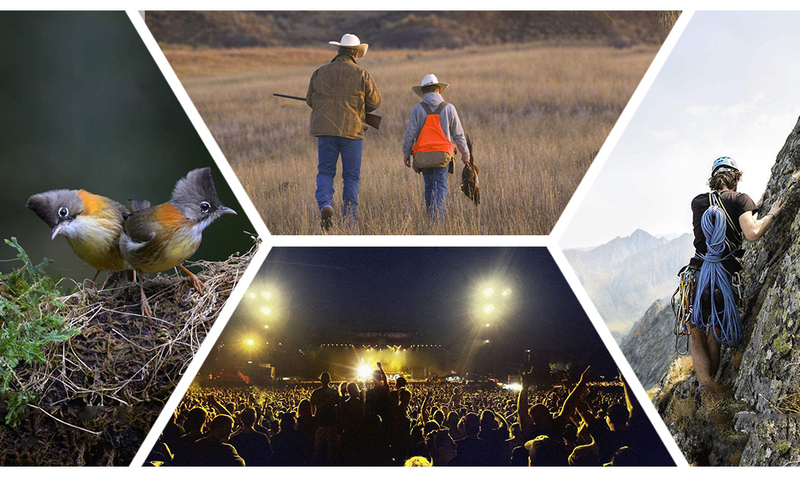 Enjoy the high-quality technical image effect, WITH IT, your world, not just so big. Focus on your world, get a more clear view! 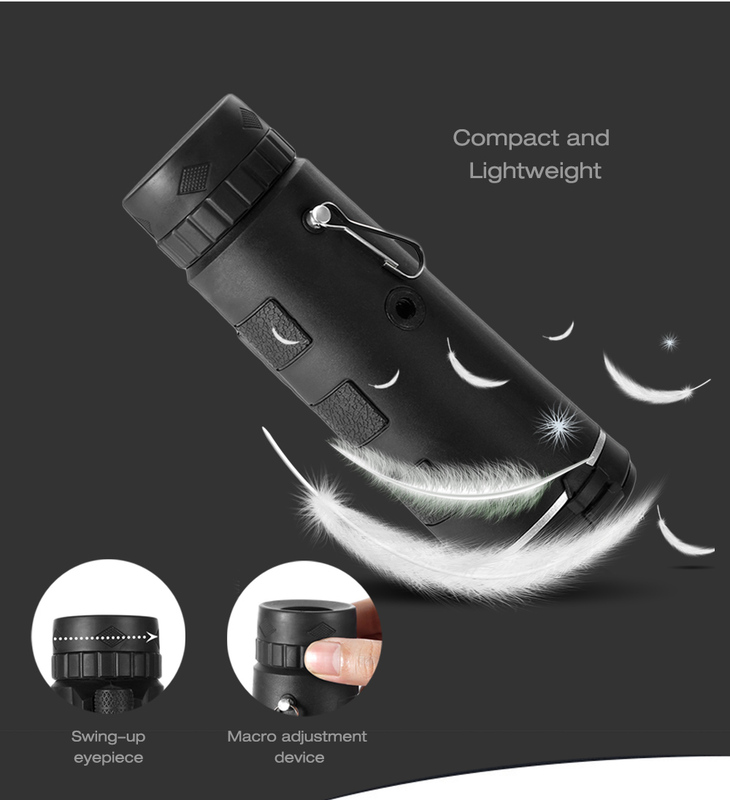 The High Power Monocular Telescope are new to the market, with compass and Equipped with a tripod and phone clip, help you to get an HD image or video easily. 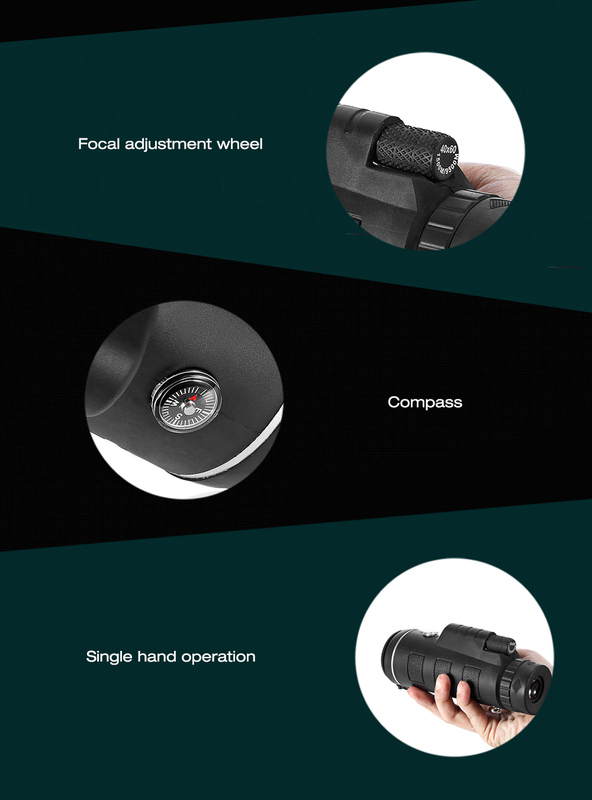 Enjoy your monocular more perfectly. Get Clearer and Brighter range of view with 40x magnification with BAK4 prism lens design, giving you a clearer and more colorful scenery. 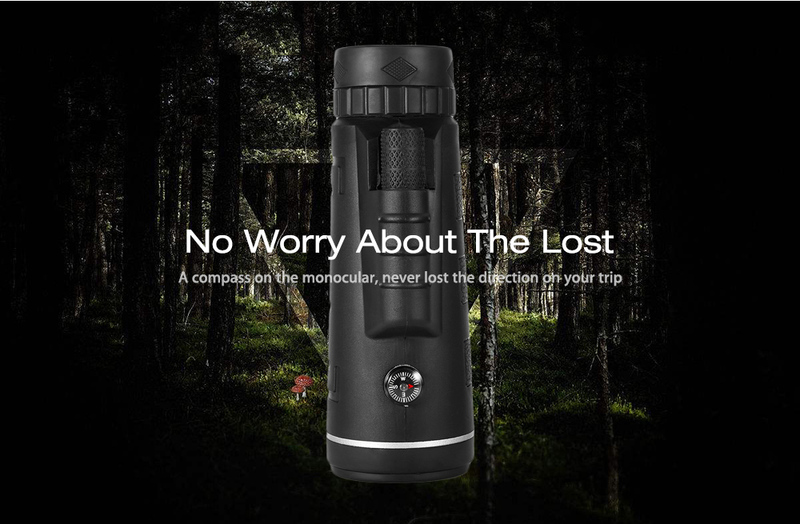 A compass on the monocular never needs to worry that you could be lost on the trip. 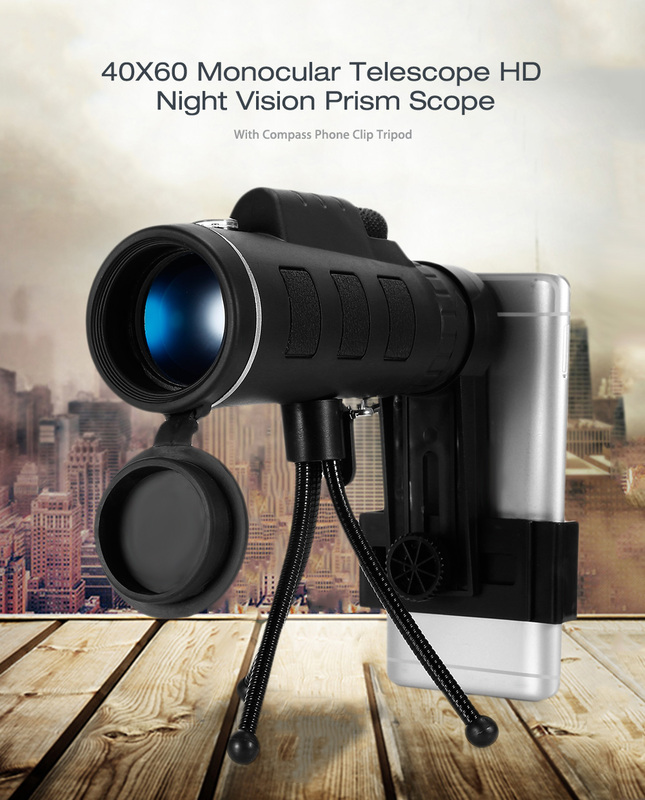 You can use the PRO-ZU Scope with your phone, or without your phone. 1x High Power PRO-ZU Scope. 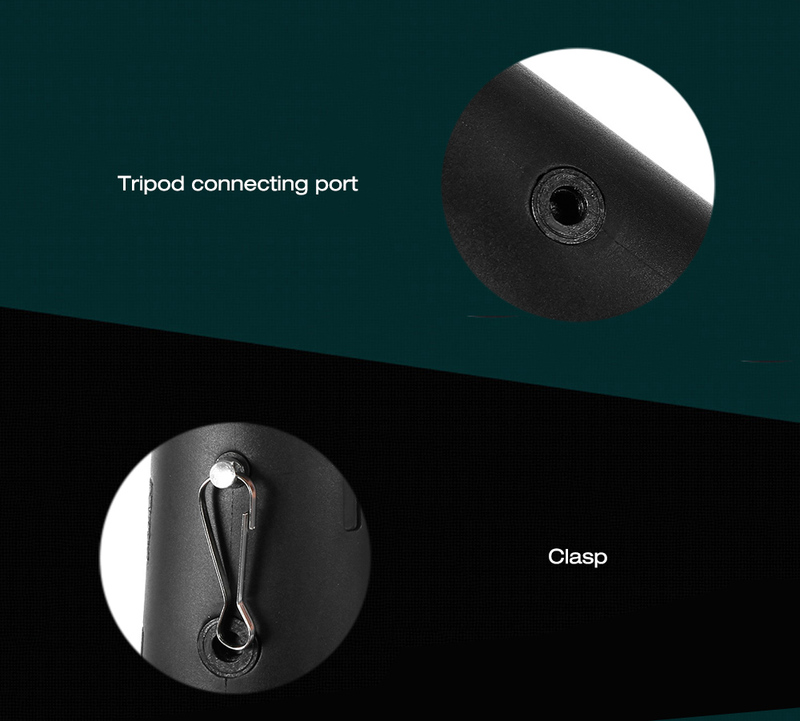 1x Spring Phone Clip Tripod.